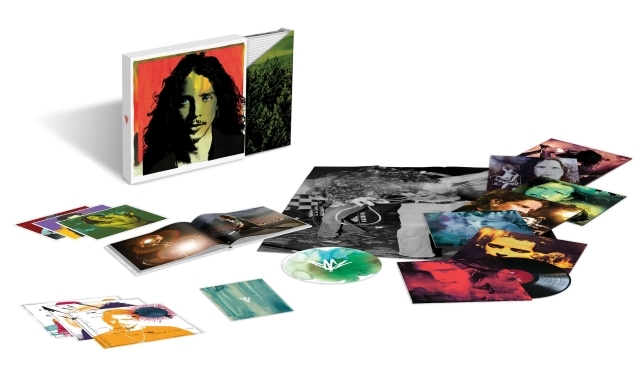 On November 16, fans can celebrate the recorded legacy of musical icon and singer/songwriter Chris Cornell with the 17-track self-titled album, "Chris Cornell", and a 64-track limited-edition deluxe box set. 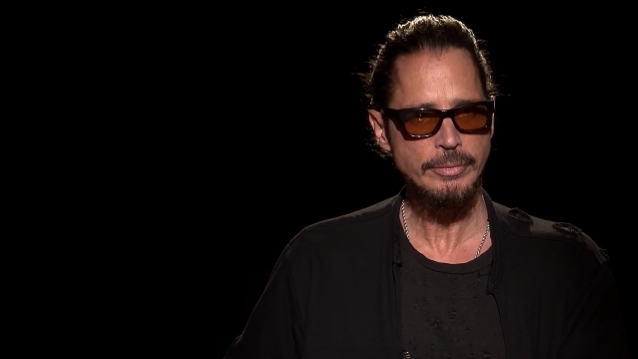 The first release since his passing in 2017, the album will be made available by Cornell's wife, Vicky Cornell, on behalf of the Chris Cornell estate through UMe. A "Chris Cornell" unboxing video can be seen below. "Chris Cornell" commemorates his life and legacy not only as a singer, but as a poet and one of the most prolific writers and greatest voices of the modern rock era. Vicky worked extensively with Chris's bandmates and friends to compile a collection of material from the late artist's expansive career, showcasing his contribution to music history with selections culled from the deep catalogs of his three influential bands — SOUNDGARDEN, TEMPLE OF THE DOG and AUDIOSLAVE — as well as songs from his solo career. She turned to producer Brendan O'Brien, who was a trusted partner to Cornell over the years, and Jeff Ament, who created the packaging for "Chris Cornell". The first previously unreleased track, "When Bad Does Good", was produced, recorded, and mixed by Cornell and was found in his personal recordings archive. The track was a favorite of his and it wasn't until friend Josh Brolin reminded Vicky of the unreleased song that she decided to share it with his fans. 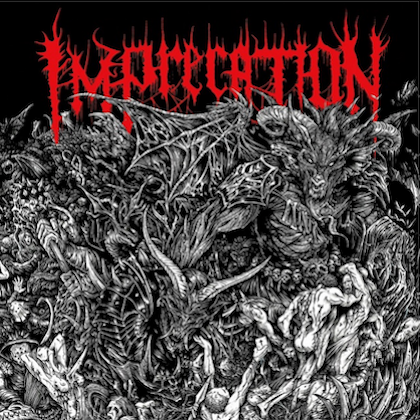 The song is also accompanied by a lyric video, which can be viewed below. "Since Chris's sudden passing, I have put all my efforts and energy into sharing his music and legacy with his fans from all over the world," says Vicky. "I felt we needed to create a special collection to represent all of him — the friend, husband and father, the risk taker and innovator, the poet and artist. His soaring vocals found their way into the hearts and souls of so many. His voice was his vision and his words were his peace. 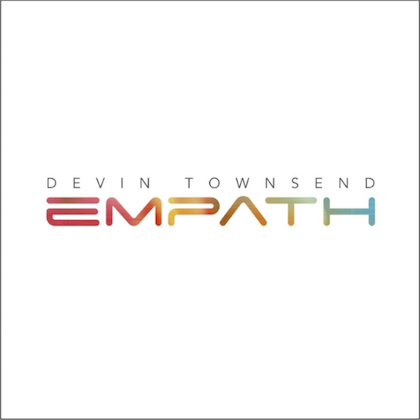 This album is for his fans." The breadth of all 17 selections on "Chris Cornell" display the full span of his artistic achievements, from the full-on kick of SOUNDGARDEN's seminal "Black Hole Sun" to the mournful yearning of TEMPLE OF THE DOG's "Hunger Strike" to the sensitive depth of AUDIOSLAVE's "Like A Stone" to his spot-on solo theme to the 2006 James Bond film "Casino Royale", "You Know My Name". This collection also contains a pair of previously unreleased recordings: a touching cover of Prince's "Nothing Compares 2 U" that was cut live at SiriusXM, and "When Bad Does Good". The November 16 release will also include a limited-edition 4CD deluxe box set of the same name, consisting of 64 tracks (11 of them previously unreleased). 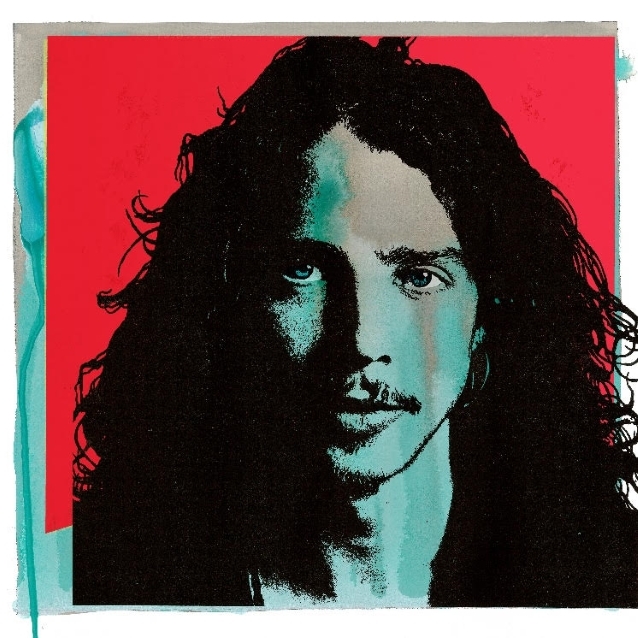 "Chris Cornell" comes housed in a jewel case with a limited-edition custom die-cut slipcase that showcases Seattle with tree-line graphics on the front and other various cities he lived in throughout his life on the back, a 32-page booklet with many unreleased photos, and liner notes from bandmates and colleagues Kim Thayil, Matt Cameron, Tom Morello, Mike McCready and Brendan O'Brien. 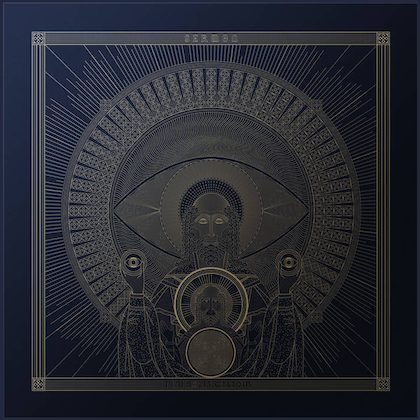 The 180g 2LP edition comes in a gatefold jacket with similar limited-edition slipcase graphics, a 12-page booklet, and the aforementioned liner notes, while the 4CD limited-edition box boasts a further expanded 54-page booklet. Additionally, a limited-edition super deluxe 4CD, 1DVD, and 180-gram 7LP box set is set for release on November 16. The super deluxe edition holds 88 tracks — 64 songs plus 24 videos, with 13 entries (11 audio + 2 video) previously unreleased overall. Also included in the super deluxe box are a 66-page hardcover photo book wrapped in linen with a red foil signature cover, three artist lithos, three photochromatic lithos inspired by Cornell's lyrical fascination about the sun (images are brought to life by holding under direct sunlight), a turntable mat, a microfiber vinyl cleaning cloth, and a 36x48-inch wall poster. The box set's ten unreleased live performances include Cornell's duet with Yusuf/Cat Stevens on "Wild World" and another duet with his daughter Toni Cornell on Bob Marley's indelible classic "Redemption Song". TEMPLE OF THE DOG's 25th-anniversary reunion/first-ever-official tour in 2016 is highlighted with hometown performances of "Reach Down" and the Andy Wood/MOTHER LOVE BONE favorite "Stargazer", Chris's personal arrangement of "One" featuring the lyrics to METALLICA's song set to the music of U2's song of same name, and a first ever album release of AUDIOSLAVE's 2005 ground-breaking performance on Cuban soil of "Show Me How To Live". Also in 2016, one of Chris's personal career-topping moments was performing at the prestigious Royal Albert Hall in London where he covered THE BEATLES' "A Day In The Life". Three additional live selections from Sweden in 2006 include "Wide Awake", "All Night Thing" and LED ZEPPELIN's "Thank You" are from the very first show ever where Chris performed by himself with an acoustic guitar in front of an audience which became the creative spark for his future, highly successful "Songbook" tours. Two unreleased music videos spotlight a solo acoustic performance of "Scream" and the newly edited SOUNDGARDEN video "Live To Rise", showcasing the band only without "The Avengers" movie footage included. See the full track listing at ChrisCornellMerchandise.com.